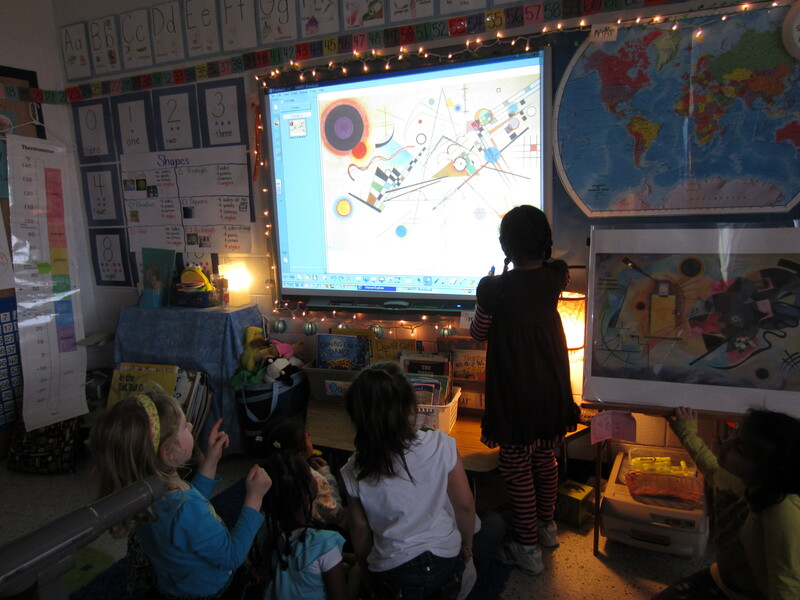 I know this is Wordless Wednesday, but can you describe how this worked on the SmartBoard? Sure! I put a piece of art in Notebook (just copied and pasted from google images). We then played an “I spy…” game. So they said, for example, “I see a red circle behind a yellow triangle with 3 curved lines.” The other kids tried to guess where the child was looking – then the child came up to the smart board and traced over the shape (the red circle in my example) with the pens. I left the image on the board for our math stations as well – so kids could continue talking about the art, saying what they saw, and writing on top of the art. Does that make sense? Let me know if you’d like more explanation. Just wanted to let you know that I enjoy your blog. So much great stuff. Will try this with my class and share with the art teacher.